Before scrolling down, you can check the Introduction & last Episodes here – Vol.1 (Introduction), Vol.2 & Vol.3. In First 2 episodes, the interviewees were 2 moderators - Rudraksh & ChatDexter followed by one of the biggest MEIZU fan – Filip Demski in Episode 3. For this Episode, we have a Pro Q&A team member – Rudra. He was recruited for Q&A team in February, 2016 and he has more than 3.5K number of replies on forum which is highest number of replies (including Admins too) here on Flyme Forum. He also manages the following sections on Forum – Devices, India, M1 Note, M2 Note, M2, FAQ, M3 Note & M3s. He was the only Moderator to achieve 6000 points last year and so the only Moderator to get Pro 7 Plus on Flyme Forum’s 2nd Anniversary. He is one of most active mod right now on Forum. He has helped lot of users and is still helping others. Just check FAQ section and you will see 2 things – Questions and Rudra. Q: Your first MEIZU phone? Why you bought it? What were the other choices (phones) that time you opted for MEIZU phone over them? A: My first Meizu phone was the Meizu m2 note. I ordered it on 24th September 2015 from amazon.in The other phones that I considered before buying m2 note were Mi4i, Sony Xperia M5 Dual and an Asus Zenfone (I do not remember the name now). The main reason for buying m2 note was that I was looking to buy from a new and reliable Chinese OEM and Meizu's history fascinated me. I researched a bit further and came to know before buying that the OS was well optimised, the camera was great for the price and the performance was exceptionally well. As a result, I chose m2 note to be my next phone. 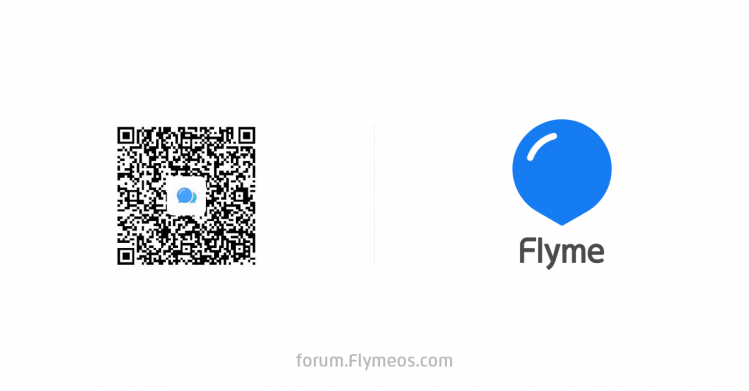 Q: How you got to know about Flyme Forum? What was your impression on forum that time? A: I got to know about Flyme Forum after i bought the Meizu m2 note. I created a Meizu account (known as Flyme account at that time) and i saw a link to the forum. I opened it and was surprised to see a lot of people committed to the forum everyday. I also noticed a handful of useful content in the resources and tutorial section. Even though I was not a regular user of the forum at that time, my first impression of it was pretty good. With a lot of user engagement, useful content, interesting contests and rewards, there was very little which was wrong with the forum. Q: You have M3 Note too and recentlyyou got M6 Note too. And you also have other MEIZU accessories too. Can you list them all and what do you think M6 Note is best note ever? A: The Meizu devices and accessories I own are m2 note, m3 note, m6 note, HD50 and a Meizu Backpack. My favourite from these is the HD50 easily. Yes, I remember saying after watching m6 note's launch event that this is Meizu's best phone launched in the recent time and I was right. After using the phone, I can easily say that the phone is well worth the asking price with the most surprising part ofthe phone being the camera. It is too good for a budget device and definitely m6 note is the best note ever. Q: You have One Plus 5T. What are the things which are missing in MEIZU phones compared to One Plus 5T on the basis of your experience using MEIZU and One Plus for considerable amount of time? A: It is difficult to answer this question. On the software front, Oxygen OS and Flyme can be called the polar opposite of each other. While Oxygen OS is pretty close to stock Android with small but meaningful additions, Flyme is a heavily modified skin which packs in a ton of features. Where Oxygen OS absolutely beats Flyme is at the speed of updates (Android update, new features, bug fixes included). Global Flyme really needs to improve on this. On the hardware front, where Meizu lacks is that they have not made a single high-end phone after the Pro 6 Plus until now. Some would say that the Pro 7 (X30) was powerful but it was still underpowered when compared with last year's flagships from other OEMs. OnePlus as everyone knows, always uses top of the line hardware every year. But I am very eager to get my hands on the Meizu 16 series releasing in the coming months and I hope that it will be a game changer for Meizu. Q: What do you prefer - mBack, Super mBack, On Screen 3 Buttons(Google) set up or Gestures like iPhone X? A: If I amusing a Meizu phone and even if it is 18:9, I would always prefer to have the physical mBack button as it is signature Meizu style and I loved it ever since I started using my first Meizu phone. However, on other phones I would like to have gestures as gestures and mBack have one thing in common: - They do not eat up unnecessary screen real estate and you can focus more on the content on the screen. Q: What difference you see when you bought your first MEIZU phone in 2015 and now in 2018 in MEIZU India? A: Back in 2015, Meizu used to launch new phones in India. MX5, m2, m2 note were great phones for the asking price. But in 2018, there has only been one phone launch in India which was the Pro 7 (P25) in limited quantity. It took seven months for the phone to launch in India after the China unveil and it has become irrelevant now because of the onslaught of 18:9 devices in the Indian market. However, for those people who want to be differentiated from others, the Pro 7 is a great conversation starter with the secondary display and a great design which has won awards globally. Q: Do you think MEIZU will rise again in India and can compete with Xiaomi. What are your suggestion for MEIZU India? A: If Meizu starts focusing on the Indian market, they can easily have a considerable share in the Indian market. The recent launch of Meizu M6 note and Meizu E3 shows that Meizu is more than capable of making better phones than Xiaomi and launching them at attractive prices too. While defeating Xiaomi in India will be hard (currently it's biggest market in the world) Meizu can easily take a considerable piece of the market from them just by focusing more on the Indian market. Q: What do you think about decision of MEIZU not to launch E series (E3 latest) outside China? it was a huge disappointment when I get to know about E3 not going to be sold outside China. A: I was disappointed too when I came to know about the E3 being China exclusive. This is a phone that could easily give the overhyped and always out of stock Redmi Note5 Pro in India serious competition. But I have my hopes high and maybe we will get a Global version of this phone soon. Q: You are using A version for a long time (or I should say forever). A version gets regular updates and have more features too. Will this gap between A & G will be ever filled? Even Flyme 5 used to get updates faster. A: I have no idea if the global development will ever be as good as the development for Chinese firmwares. Maybe things will improve with the launch of Flyme 7. Let's wait and see what happens. Q: During Q&A team recruitment, when you applied, you were confident about your selection? What was the reaction/feeling when you checked the announcement? A: I had no hope of being selected but maybe the people who selected me liked what I had achieved on the forum by that time. I had mixed feelings about the selection. Happy because i was selected and sad because a regular contest cheater had been selected in our team too. Thankfully, there was enough proof to get him removed from the selection and KKPanda and Tymcio saw the proof and removed him from the team immediately. Q: You are known as Singham of forum. You have the most arguments on forum and telegram group. What triggers you most- MIUI fans, iPhone fanboys, couch phlosophers etc. You banned lots of spammers too on forum. There is almost 0 spamming on forum now. It is good that there's no spamming on the Forum now. Makes it a better place for people to interact without deviating from the topic. Also, a special thanks to all the administrators who have listened to the input from moderators and have taken numerous steps to make the contests on the forum spam free and cheat proof. If there is one thing that is worse than spamming, it is cheating in contests and taking away the prize of the user who actually deserves it. Q: What are your hobbies? Your Favourite Movie(s), Song(s), Singer(s) & director(s). Your future plans for life? A: Since it is summer, my favourite hobby now is swimming. Other than that, i skate and am also an occasional bike tourer. Some of my favourite directors are Denis Villeneuve, Christopher Nolan, The Coen Brothers and Spike Jonze. Q: You have most number of replies on forum. You even won Pro 7 Plus on 2nd anniversary of forum for your hard work on Forum. How do you manage it? How much time you spend on Forum per day on average. What keeps you motivated. You are a pro Q&A team member. A: Since my job as a moderator on the forum is pretty straightforward but at the same time, time consuming as I have to type a lot to explain things to users in Private message and threads, some of my answers are repeated. As a result, I use a form recovery addon known as Lazarus which helps me to save some time by actively monitoring and storing everything I write on the forum. I am very humbled to be the winner of the Pro 7 Plus and I also congratulate everyone who won year end prizes. I also encourage other users to post great content on the forum so that we can collectively make the forum more interesting. On an average, I spend one hour a day on the forum most of which is focused towards understanding user problems and talking with them in Private message to rectify them. The only thing that keeps me motivated is that I want to see Meizu succeed at a global level. Q: I can't see Flyme 6 A leaked daily beta thread in your profile. Was it taken down? That was your most trending thread and changed my life. A: Yes, indeed. It gave me instant recognition on the forum as it was the first thread related to Flyme 6 on the global forum and it got 15k views without hiding any content of the thread and even after posting it in the m3 note and m2 note device section. I had to take it down because when I was selected as a mod, Tymcio the super mod of our Forum rightly pointed out that posting daily firmware links on the forum which is meant only for serious beta testers is prohibited. I am happy that I could help you with gaining traction on the forum with that thread. Q: Which place(s) you like most and you want to visit in future? Are you interested in visiting MEIZU HQ in China? A: I like Italy and Canada since they are the places which I have visited. I have always wanted to visit China and since 2 of my good friends also stay there, it's one more reason for me to visit China. If I get the chance, i will definitely be interested in visiting Meizu's HQ in China. Q: Flyme 7 is around the corner. What are the improvements you want in Flyme 7 over Flyme 6? Faster updates, Androidbase update, regular security patches? Do you think Flyme 7 will get Android O base update for at least latest devices this year? It's 2018 and we are still on Android 7 and Android P preview is already released. A: A dark mode is much needed in Flyme right now. Face Unlock is another cool feature to have especially when you have sweaty palms like me when the fingerprint scanner is rendered useless. Currently, Flyme's task killer is too aggressive for my liking. If some OS level optimisation is made to the system, it will make Flyme even better. It is too early to say if we will get Oreo on Flyme 7 but I think that if we will ever get Oreo then it will be after Flyme 7 gets a stable release for all devices just like the core change which happened on Flyme 6. So, this concludes this Interview and I hope you like it. I was a bit lengthy compared to previous episodes but I love the way he answers so I stretched it a bit. See you guys next month in Episode 5. Big Idea, long time not make a thread about this. And well yeah it's like Boom,'Come and Enjoy!' Good Job for Rudra and Rohit too. Keep it up!